I love experiencing other people’s religions. There is something true in all of the worships. Today I was at our dear friend’s Bat Mizvah. It was a bit long. So my mind wandered and I got thinking, the Jewish service is more kid-friendly than the Christian service. Seems on most Sunday church worships, if your kid’s a little loud or cranky, people glare at you. But at today’s synagogue service, people smiled at the noisy baby. And nobody seemed to mind all the restless teens milling about, ostensibly heading to the bathroom, but probably just stretching their legs. People are nice. When I was a little lost in one of the books, some usher-type guy came over to instruct me, kindly, on the proper page number. What I really loved? The 13-year old Bat Mizvah girl led the service. She delivered the message. 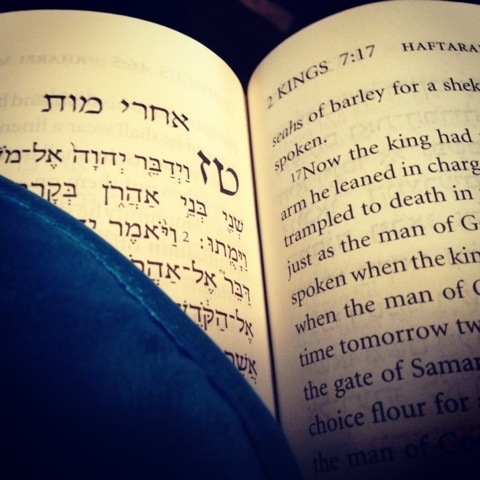 She read a ton in Hebrew from the Torah. I think it’s beautiful when kids — especially young women — can be seen and heard in a religious service. I think the bible reading was about relationships today too. Bible stories are usually about relationships, rules, myths, and journeys. And churches and synagogues are usually beautiful spaces to listen to stories, especially when they are stories told by girls or women.